Psych heads rejoice as a special collaboration in a special venue has just been announced, and Getintothis‘ David Hall has all the details. Immix Ensemble are to collaborate with Jane Weaver and visual artist Sam Wiehl for a project titled Kosmologie Ancienne at Liverpool Metropolitan Cathedral Crypt. Liverpool’s Erased Tapes-signed Immix Ensemble are no strangers to collaboration, with a third series of unique performances now in the pipeline. For the second concert of their 2017-18 series they have teamed up with psych heads Jane Weaver and Sam Wiehl to present a multimedia adaptation and extrapolation of works from Weaver’s critically acclaimed Modern Kosmology album on November 9. The collaborators will present this unique performance combining Weaver’s voice and synthesisers, Immix Ensemble’s acoustic instrumentation and live visuals from Sam Wiehl in the grand setting of the Lutyens Crypt Concert Room, beneath Liverpool’s Metropolitan Cathedral. Support will come from Immix Ensemble’s 2017-18 Composer in Residence Andrew PM Hunt with Andy Votel on DJ duties before and between sets. tickets to those claiming Jobseeker’s Allowance. Apply to info@immixensemble.co.uk for more information. 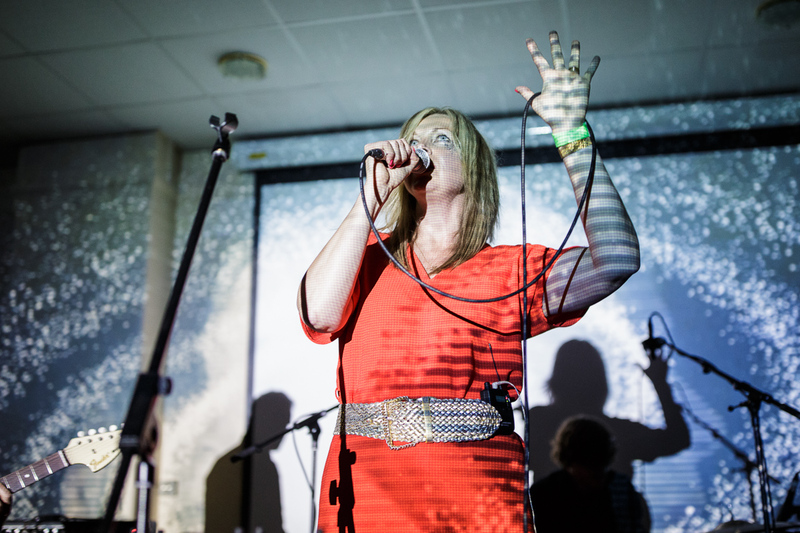 Jane Weaver, Sam Wiehl and Immix Ensemble present Kosmologie Ancienne at Lutyens Crypt, Liverpool Metropolitan Cathedral (entrance via Brownlow Hill) on Thursday November 9. Doors at 7:30pm, tickets are on sale now.